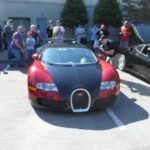 Cars & Coffee of South Florida, Inc. is a a Not for Profit Organization designed simply as a networking group enabling the collaboration of car collectors & motoring enthusiasts in the South Florida area. We are all looking for an excuse to exercise our rides, hear the great stories and to simply enjoy the antiques, classics, exotics, hot-rods, and motorcycles in our area. We’re proud to state that we have joined the International network of Cars & Coffee globally. We believe we are doing our part to give “Car Guys”, (women, men and kids) a way to enjoy their vehicles. These can be cars, trucks and motorcycles, anything with wheels. The U.S. movement is claimed to have started in Crystal Cove, Ca. in 2005 but has grown to hundreds of events, and now has begun to offer sponsorships/memberships worldwide. 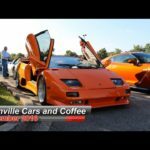 Cars & Coffee is grass roots – style auto show dedicated to unifying car collectors while embracing those who simply have a passion for cars. It is a venue where car enthusiasts get an opportunity to show and tell. 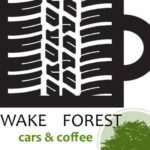 Cars & Coffee is a gathering of like-minded car, truck and motorcycle enthusiasts where hundreds of proud drivers will congregate to kick tires, tell tall tales, and have a cup of coffee and a donut. There is something for everyone to enjoy, classics, exotics, concepts, hotrods, motorcycles, and motorsport vehicles. And it’s all free, with the funds for the coffee and donuts ($1.00 each) going to local charities. Our Cars & Coffee South Florida beneficiary is a local elementary school with needy children. 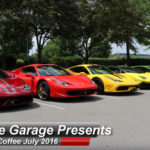 There are many Cars & Coffee events with the majority being hosted by new car dealers. Some of the most successful are events in the DC area where 1000s of members gather monthly. Events throughout Florida started with 20 or so enthusiast and have grown to 100s within the 1st year. This is a simple premise where one Saturday a month, between the hours of 7:30 to 10:30 AM, we all get together. This leave the remainder of the weekend free for personal use. 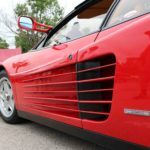 What sets Cars & Coffee South Florida apart from the majority, we are fortunate to have within our membership other collectors and businesses that ask to host some of our events. 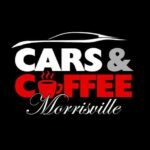 We call this our “Cars & Coffee Road Show”. We may be one of the only organizations that encourage different venues; our members and guest have the advantage and pleasure of seeing other collector garages, restoration facilities, and private collector’s facilities. We believe this fresh approach makes the hobby more interesting for everyone. Please take an opportunity to surf our website and follow us on Facebook and LinkedIn using the links below. View the many photographs of our guest hosts events, and “Our Garage” were it all started. Also please view the many member comments and our calendar for future events. Your Cars & Coffee South Florida hosts.